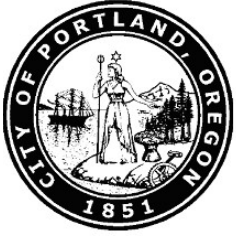 (Nov. 19, 2018) Portland's Shared Electric Scooter Pilot Program is concluding as scheduled, on Tuesday, Nov. 20. On Wednesday, Nov. 21, e-scooters will not be available to rent, though it may take several days for companies to clear their equipment from city sidewalks. The Portland Bureau of Transportation gathered data and public input during the 120-day pilot program, and will share its findings in early 2019. The bureau will consider community input and data findings on e-scooters in Portland, and we look forward to learning from the findings to evaluate and inform a potential second pilot program in 2019. Companies have said it may take them up to a week to remove their equipment from the public right-of-way due to the Thanksgiving holiday. Anyone who sees a shared e-scooter on public right-of-way is encouraged to report it to the company. Contact information is available on PBOT's website. PBOT was proactive in testing shared e-scooter technology with the public this year. The bureau announced in May that it intended to offer a pilot program in July, and sought input from the public and stakeholders in developing rules for shared e-scooter use. PBOT's rules included requirements for the companies to serve East Portland and to educate scooter riders on the rules that prohibit e-scooters in parks and on sidewalks. Since the e-scooter pilot program started July 25, more than 676,000 trips have been taken, covering more than 775,000 miles. The program limited e-scooters to a total 2,049 devices offered by the three permitted companies. PBOT regulates e-scooter companies within the city limits. E-scooter rider conduct is governed by state law and separate city codes.